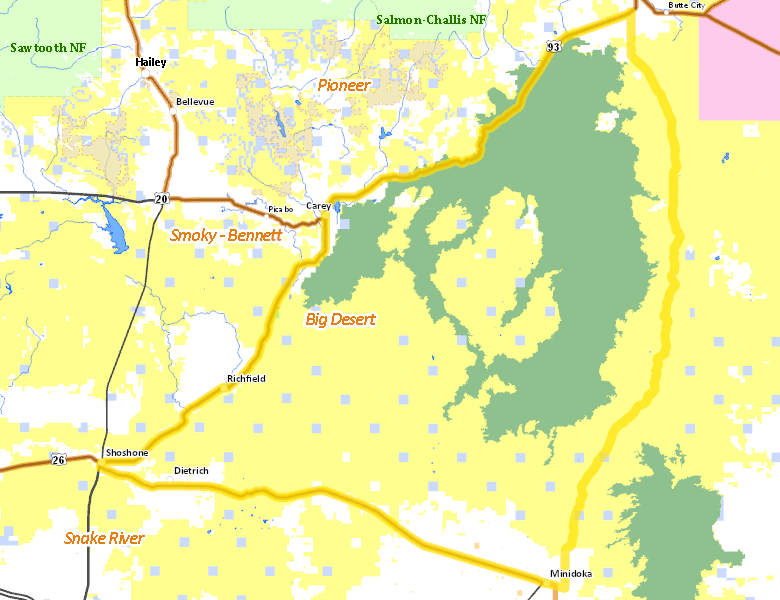 Those portions of BLAINE, BUTTE, LINCOLN, and MINIDOKA COUNTIES within the following boundary: beginning at Shoshone, then north and east on U.S. 93 to Arco, then south on the Arco- Minidoka Road to Minidoka, then northwest on State Highway 24 to Shoshone, the point of beginning. CRATERS OF THE MOON NATIONAL MONUMENT-CLOSED. No properties are currently available in Unit 52A. No National Forest lands fall within Unit 52A. There are no wilderness areas in Unit 52A.